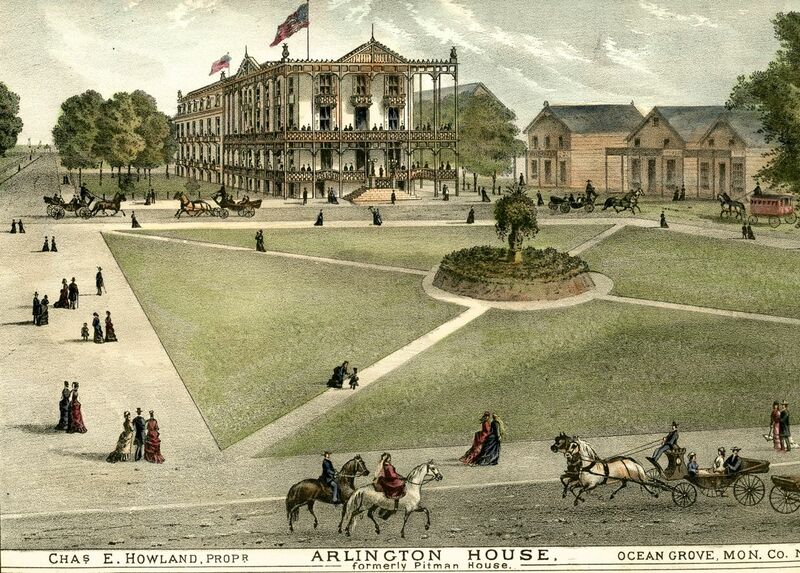 An artist, Grover Sue Anderson Gioulis, reminds us and the Township of what Ocean Grove is supposed to look like. ISABELLE FOUNTAINE “Roses of Picardy” live with the Hot Club of San Francisco. Hello Paul…I love your photo of the Hemingway cat…the Siamese is truly a regal creature. 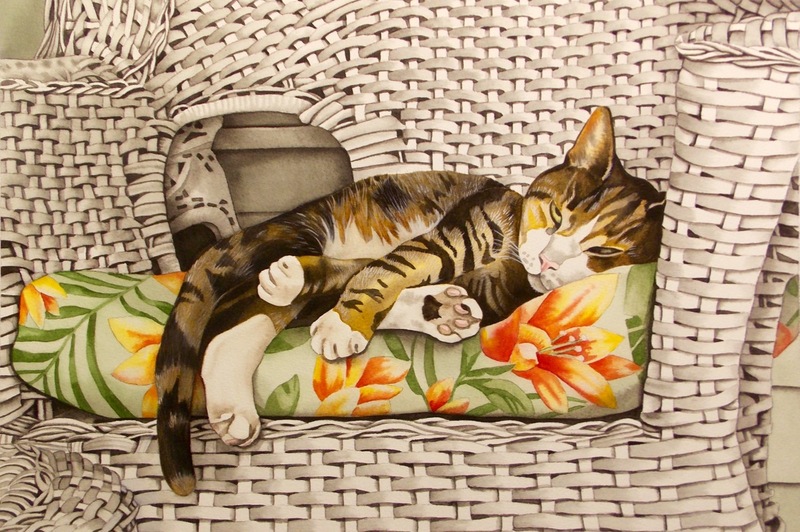 I am a great admirer of cats and I have done several interpretations of Ocean Grove felines in watercolor/gouache. In the past, you took an interest in my painting of Maggie the cat (beloved Ocean Grove feline). I so appreciated the fact that you shared my artwork on your blog. 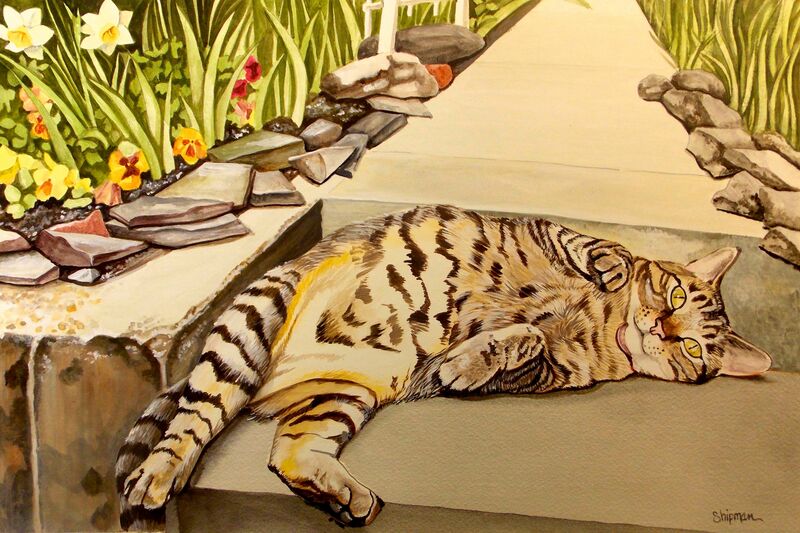 I thought I would submit my latest painting of “Willow”…taking a nap on her Franklin Avenue porch. I tried to capture that “Leave me alone, I’m napping” look in her eyes. Mary Lou—this is a fine painting of a cute cat. She is the epitome of comfort—an inspiration for humans, especially those who have access to an Ocean Grove porch. Sometimes I take a walk in the Grove and pass a person who is curled up on their porch in a comfortable chair, reading a book, taking a nap, or sipping a drink. Oftentimes their legs are up on a cushion or tucked underneath. They seem so content, and I am jolted–because it reminds me that Eileen and I need to spend more time relaxing on our porch. We need to stop and smell the flowers and the ocean breezes, like Willow. Thanks for sharing with the Blogfinger audience. CAT POWER is the name given to recordings by singer/songwriter Charlene Marie Marshall, a Southern soul performer. This is from her 7th album —-recorded in Memphis in 2006 to great acclaim. Other than her stage name, this music has nothing to do with cats. But like so much of the music which we post on Blogfinger, it’s here because I like it. These lyrics are a bit obscure, but the music is dreamlike and beautiful. Sometimes we can enjoy vocal music for its shear sound, ignoring the actual words. We do that often when listening to opera or some rock and roll. But that never happens when listening to Sinatra. “The Greatest” from the album of the same name. Sue Anderson Gioulis is an Ocean Grove based artist who has painted many images of our town and she regularly exhibits her work in the Galleria on Main Avenue. 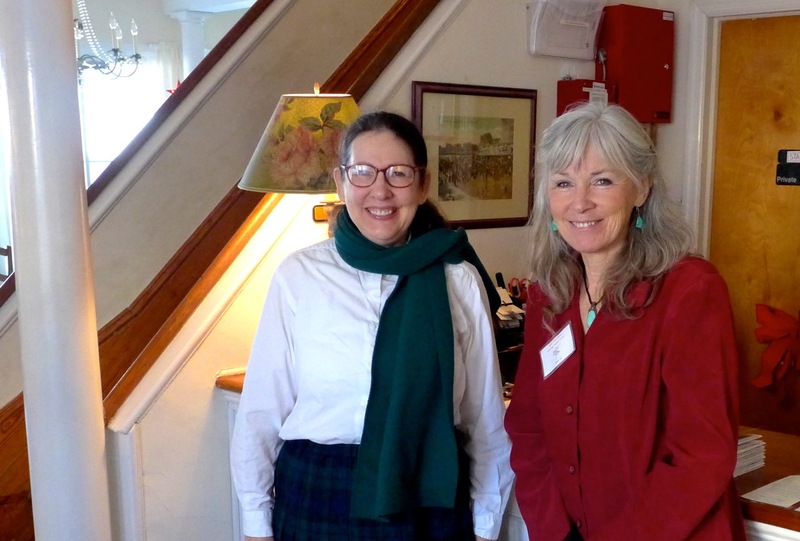 She wanted to display some of her OG paintings in a book, so she teamed up with Kathryn Hess, an artist from Brick Township whose family has been summering in the Grove for four generations. 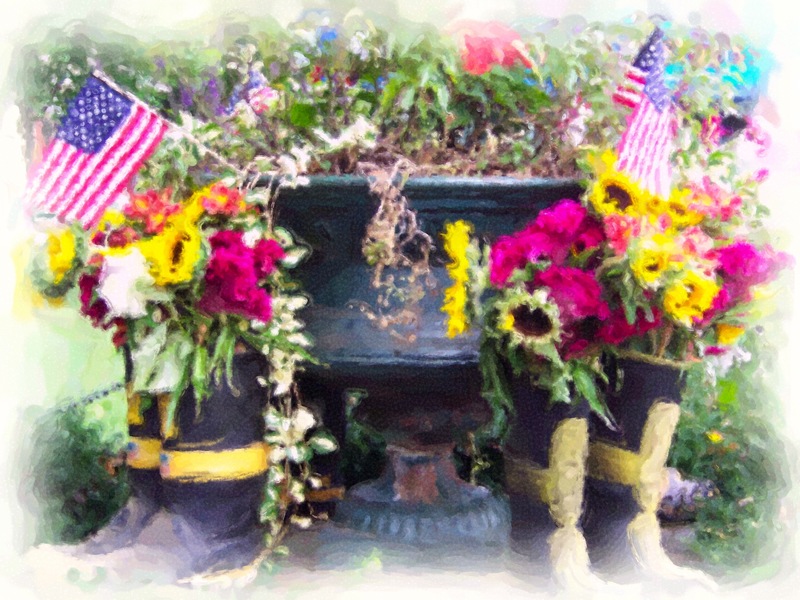 The pair decided to create a summer tour of the Grove, featuring pictures by Sue and a poem by Kathryn who says that she wrote her part last winter ” while curled up in a ball.” She was inspired by all the summers she spent here as a child. 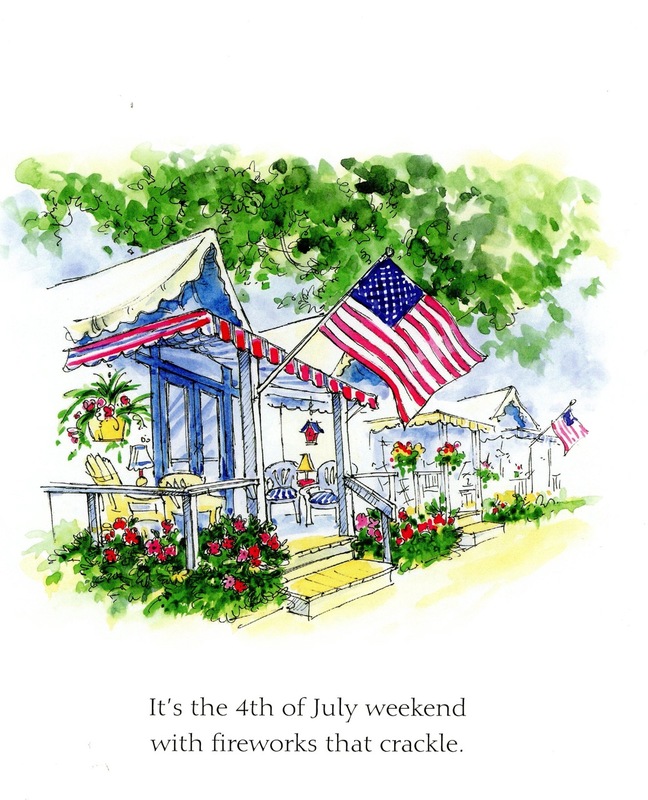 Image by Sue Gioulis from the book “Ocean Grove Summer. Text by Kathryn Hess. 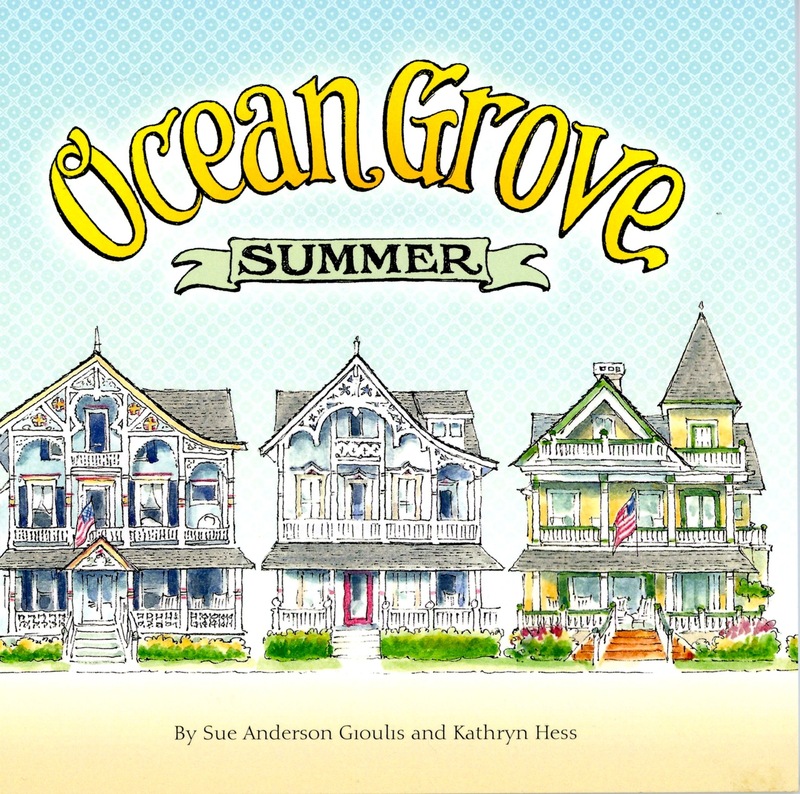 “Ocean Grove Summer” appeals to adults or children, and the illustrations are very colorful and detailed featuring six OG Victorian homes, Days, Nagle’s and other town landmarks. Children who live and visit in the Grove will recognize the places shown in the book. You can purchase “Ocean Grove Summer” in Gingerbreads. It was published this month by KFR Communications, Neptune, New Jersey. PAL JOEY—1957. This version by Bobby Van from the album CenterStage Broadway 1947-1958. Click on the comments button to find the music player; then use the back arrow to return. Marylou Shipman sent us her portrait of Maggie, a feline favorite among people who live on the west side of Franklin and Clark Avenues. Maggie, owned by Mick and Mike, passed away on January 25. “Maggie” by Ocean Grove artist Marylou Shipman. Click left for full view. “Homes on Ocean Pathway” by Stephen D’Amato. 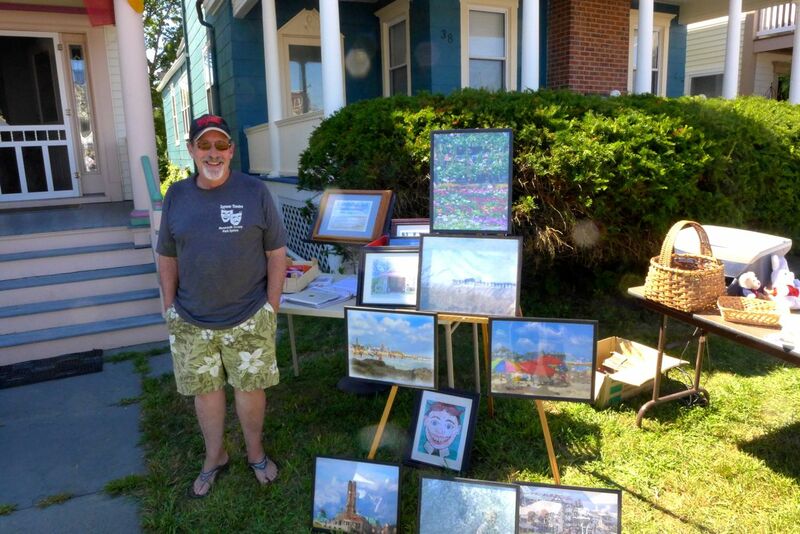 Stephen D’Amato is a friend of Ocean Grove’s and a professional artist whose specialty is the Jersey Shore. He loves to come to our unique town and paint. The last time I saw him here he was sketching Rev. Stokes out in front of the Great Auditorium . Stephen will be having an exhibit called “Paintings of the Jersey Shore” at the Millburn Free Public Library, 200 Glenn Avenue, from July 1-7/30. There will be an informal opening reception at the Library on Sunday, July 7, from 1:30-3:30 p.m. Light refreshments will be served, and all are welcome. 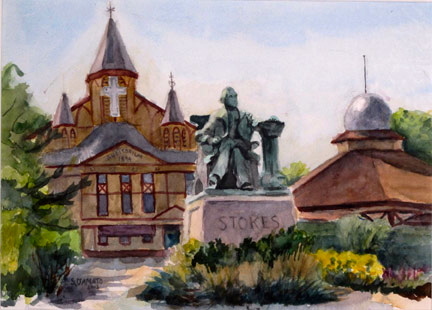 This past June we met painter Stephen D’Amato when he was making sketches in front of the Stokes statue. Stephen has been working on a series of shore themes, and he has kindly allowed us to show the above work based on those sketches. His current show is being held at the Cranford Library (see link below) and will run until the end of December.